effect, become part of the composition"
Award winning artist, obtained a BA honours Degree in Painting and Printmaking and also a PGCE in teaching I paint most days working from my gallery on the fringe of the Peak District. This rural environment provides my artistic stimulation, to translate my passion for nature onto the canvas I hope you enjoy my website. 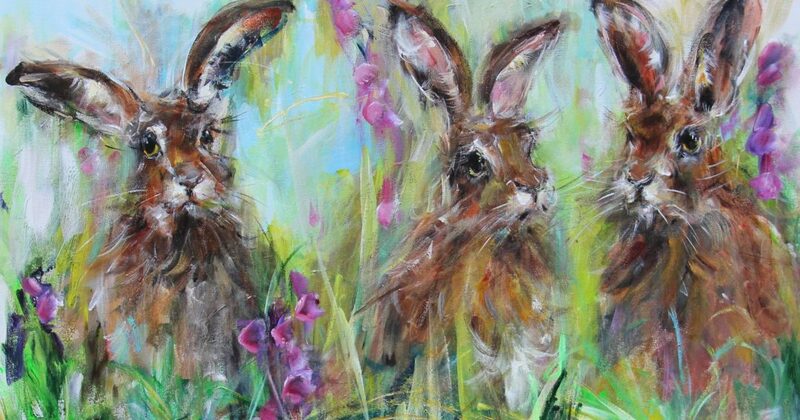 you are welcome to pop in to view my work in progress, Original paintings, Hand embellished prints, Giclee prints and greeting cards.